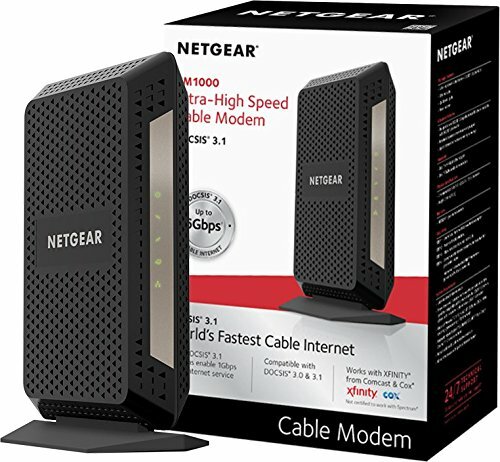 The Netgear CM1000 is a top of the line standalone modem with support for gigabit speeds. This Docsis 3.1 modem has 32x8 channels and it one of the highest rated modems on the market. While on the pricier side, this modem should last you many, many years while giving you the highest internet speeds. This modem does not have built in Wifi (check out the Netgear C7800 for their combo modem) and we recommend a high quality or mesh router to pair.